Siyi Chu is the Right Question Institute’s (RQI) project coordinator. She works closely with Luz Santana and Dan Rothstein, RQI’s co-directors, on advancing RQI’s work in social services, school-family partnerships, and Microdemocracy. She also provides support to Andrew Minigan related to RQI’s National Science Foundation grant, conducted in collaboration with Brandeis University. 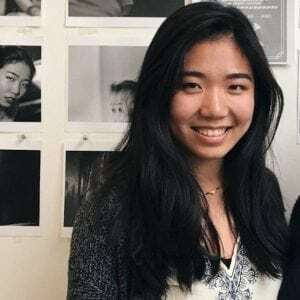 Siyi graduated from Tufts University in 2017 as a member of Phi Beta Kappa with a bachelor’s degree in child study and human development, as well as philosophy. As an international student from China, Siyi accumulated extracurricular and professional experience working with various nonprofit entities serving children and families. She has conducted this work in many countries around the world and in fields such as social services, international education, special education, and child welfare.